Easy assembly and quick take down! 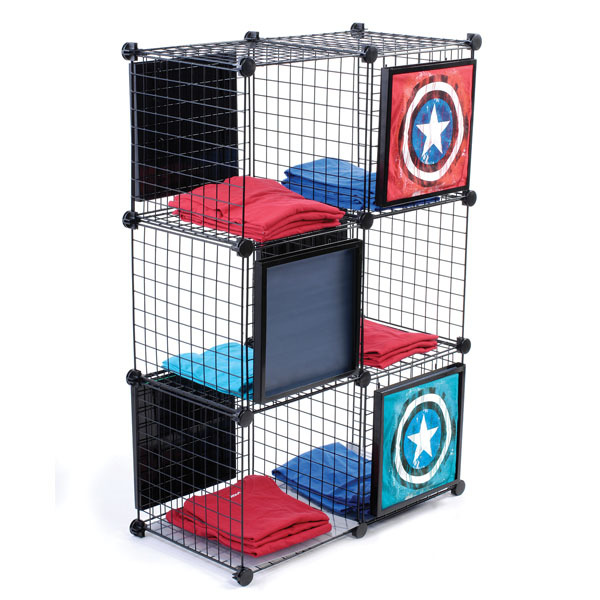 Mesh cubes are great for displaying and organizing your selection of novelty t-shirts. Sold in a kit to assemble into six cubes. The cube panels easily fit together with included connectors. Cube display also includes 6 metal t-shirt frames. These frames are great for keeping your t-shirts organized by style, and making browsing simple for the customer. Simply attach the frame adjacent to the folded stock. Each cube measures 14 sq inches.